*Note: if making a vegetarian version, sub in veggie ground round for meat. Heat oil, add pork, slightly cool, then add beef and onions, when slightly pink, add chicken and seasonings. Stir until meat has lost pink colour, but is still moist, spoon into bowl. In same pan, cook mushrooms in butter, and add to mixture. Pour wine into pan and stir in flour to de-glaze. Bring to a boil, pour over mixture and stir. 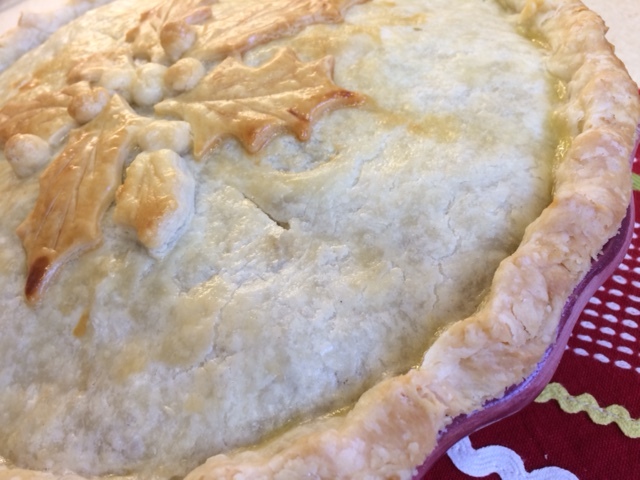 Brush inside bottom of pie-crust with beaten egg white. Pour entire mixture into unbaked pie shell, top with crust. Brush top crust with 1 egg yolk stirred into 1 tbsp water. Bake in 425 preheated oven for 10 minutes and then lower heat to 350 for 35-40 minutes on bottom rack of oven until crust is a deep, golden brown. It is both good looking and tasting! 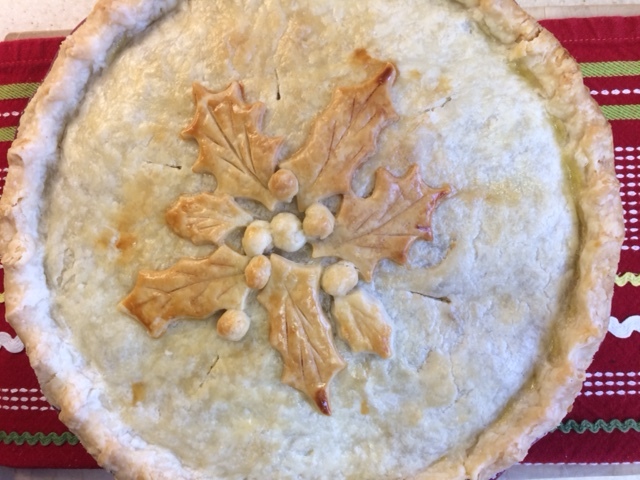 We just started this tradition of having tourtière on Christmas Eve too! 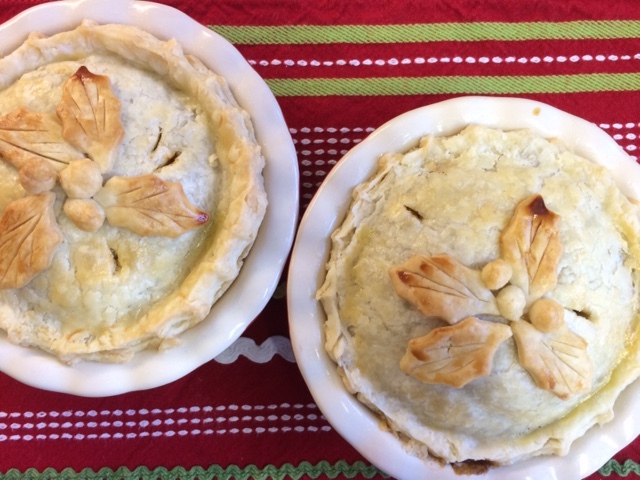 We bought ours from a new, small pie bakery called “The Pie Hole.” So good! For the veggie version, does your mom use three packages of veggie ground round to substitute for the three pounds of meat? She usually just makes a a couple smaller ones and adjusts the spices etc. We have the same tradition in our family. Our Quebecois friend Louis always comes and bring some Green Ketchup he gets in Quebec…it is actually more like a relish and goes great with tourtiere.